A link audit is the process of analyzing the links pointing at your website to find potential problems or opportunities in your backlink profile. Much like an on page SEO audit for your website, a link audit evaluates your links to determine if they are optimized to help your site rank for your target keywords. Link audits look at the source URL, domain and anchor text while determining whether link juice is being passed, to gauge how much each link is helping, or hurting your SEO, both individually and as part of your overall backlink profile. Why all this effort over links? It’s because they are important. Search engines see links as votes, or recommendations, for your site, and they pass value from the linking site to the target site. The value passed through these links goes by many names, including "PageRank" and “link juice”, and it’s one of the most important off page ranking factors in determining a site’s position in search results. As a result, SEOs spend a lot of time on link building to improve their backlink profile. Article marketing: Article marketing is writing an article with links pointing to a website and distributing it to hundreds of article websites that exist for the sole purpose of providing backlinks. Google’s Panda update was designed to downgrade these types of websites, which caused a lot of sites involved in article marketing to lose significant traffic. Buying/exchanging links: Paid and/or reciprocal links are both old favorite link building techniques. While search engines can’t technically know for sure that a link was bought, or placed in exchange for a reciprocal link, there are telltale signs like ‘sponsorship’ forms and pages dedicated solely to housing reciprocal links. Google even has a submission form you can use to report paid links. Note that you can still place paid links as long as they’re nofollow, otherwise you risk violating Google’s quality guidelines. Widgets: Bits of embeddable code on your website can be very useful for your users. However, they can include links that pass link juice. But, they can also be used and abused to pass link juice. In the worst cases they include spam links using irrelevant or exact-match anchor text. Google recently reiterated its position that widgets constitute unnatural links, threatening manual penalties for sites that engaged in unnatural link building. If you create a widget, give yourself credit with a link to your website, but use the rel="nofollow” attribute. Blog/forum comments: Blog and forum commenting is one of the most common methods, or at least most visible, of blackhat link building. Spammers write comments with over-optimized links in the signature section and/or the comment itself and then post them to every blog and forum comments section they can find, often automatically. Many of these comments use flattery as a way of slipping by moderators. Link wheels: Link wheels are a series of blogs/websites with thin, duplicate or otherwise low quality content that connect each other with a series of links: Site A links to site B, which links to site C and so on. Each site in the wheel then links to the main site. Google is pretty good at detecting link wheels so using one may give you a slight bump early on, but will likely result in being discounted at best, and get your site deindexed at worst. These blackhat link schemes manipulated search engines in a way that pushed less useful websites higher in search engine result pages, hurting user experience. To combat this, Google created the Penguin update in April, 2012 (along with the Panda update in 2011, which was designed to downgrade pages with low quality, thin and/or duplicate content). While Penguin does look at a variety of on page issues, its primary focus is detecting unnatural backlinks. A large backlink profile with a bunch of low-quality links is now actually a liability, whereas a profile with fewer links from well-known and respected sites is much more valuable. It’s all about quality over quantity. Why Does My Site Need a Link Audit? In the search engine optimization world there are certain unavoidable tasks to complete: Technical audits, site migrations, keyword research and link audits. That last one, the link audit, is an essential undertaking in our post-Penguin, negative SEO world. You need to keep on top of your site’s inbound links in order to maintain a profile of natural, high-quality links. A link profile full of links from low-quality sites with spammy anchor text and unnatural link velocity will actually harm your SEO and could result in a manual penalty, causing your web pages to disappear from the search results. It’s always important to know what your link profile looks like, at least in a general sense. This is particularly true if you’ve got an older site or if you’ve hired in-house or agency SEO help; both of these things usually mean your site has built some low quality links along the way. Having low quality links isn’t as dangerous as it was before the release of Penguin 4.0, but the integration of Penguin into Google’s real-time core algorithm makes regular conducting link audits all the more important. Besides helping you identify and remove spammy and/or low quality links, link audits will also allow you to find your most valuable links and find opportunities to incorporate into your link building strategy. Your link audit starts by gathering all your link data. Google Search Console is the place to start. You can manually export your links from Search Console: Click on Links to Your Site under Search Traffic, and select More under "Who Links the Most" and download latest links. Since Search Console exports links as .csv files, use the convert text to column feature in the Data tab to separate the link from the date discovered. You can either keep this spreadsheet as your link audit spreadsheet, or copy and paste these URLs into a new one. For a more robust dataset, create an account with Majestic (this will allow you to export your link data). Enter your domain in the search field (using your canonical URL!) and click on the Backlinks tab. Select the Use Historic Index option and choose the All option for "backlinks per domain". Export your data. Copy the paste the data into the same spreadsheet as the links from Google Search Console and remove the duplicate URLs. Google Search Console and Majestic are the best places to start because you can get your link data from them. If you’re the type of person who really needs as much data as possible, you can also pay for a tool such as Ahrefs (they no longer offer a free trial). Anchor text: Anchor text is the clickable text of a link. It’s an important indicator of link quality. A backlink profile full of anchor text that is an exact match to keywords is a sure sign to Google that you’re using link spam. Make sure you’ve got diversity to your anchor text including keywords, your domain and generic phrases like "click here to learn more." Also be on the lookout for anchor text that appears in unrelated page content or that is irrelevant to your page. Anchor text related to male enhancement pills and gambling are especially suspect. IP address: This isn’t really a deciding factor when evaluating a link, but it should be taken into account. Large numbers of links from IP addresses known for sending spam, like Russia or India, should get a little extra scrutiny if your business doesn’t operate in these countries. Page content: This is a very subjective criteria for auditing backlinks. Take a look at the linking page. Is it well designed? Does it have a positive user experience, or at least seem like it’s trying to? Some objective benchmarks you can use include spelling, grammar and usage. Is the language natural, or does it appear nonsensical with some links appearing randomly in the text and covered in ads? Is the page content thin, or is it authoritative and in-depth? There’s no minimum word count, but content that’s a few hundred words or less doesn’t look very good. Trust Flow & Citation Flow: These trademarked metrics developed by Majestic evaluate how trustworthy a site is based on the number of links linking in, together with how trustworthy those links are. If you downloaded your link profile from Majestic, sort the links in ascending order by Trust Flow. Links with little to no Trust Flow but high Citation Flow are likely to carry higher risks, so if the linking site looks at all suspicious, be sure to remove it from your profile. If you don’t want to manually check your links, or if your site has so many that it’s impractical, use a tool like Kerboo to score your links. You can upload your list of links or let the tool crawl the web to find your links. The tool will give each link a LinkRisk score, which tells you if the link is helping your SEO, or if there’s a risk it’s holding you back. Sort your links by LinkRisk score and tag the links you want to remove from your profile. You can then export links tagged as Disavow as a disavow file that you can upload to Google. If you sync Kerboo with your Google Search Console account, you can set the tool to automatically score new links as it finds them. While noting low quality links, pay special attention to the domain and text surrounding your links. While pretty rare, negative SEO does happen, and it can have serious consequences for your SEO. The good news is that negative SEO patterns can be easy to recognize if you’re paying attention during a link audit - spammers are generally looking to do as little work as possible. If you see lots of spam blog and forum comments that all use the same body and anchor text appearing suddenly in a matter of days or weeks, it’s likely you’re the target of negative SEO. The process of responding to negative SEO is the same as dealing with any other bad link, but it’s important to know if someone is targeting you or not. What Do I Do With the Results of My Link Audit? One reason you do a link audit: identify unnatural links (or attempts at negative SEO) in your profile to target for removal or disavowal. Don’t jump right to disavowing links - Google advises that this isn’t enough to prove that you’re trying to clean up your link profile. Contact the site owners manually asking them to remove links to your site. Keep a record of these attempts and the response you receive (or don’t receive) for your disavowal file and, if you wind up with a manual penalty, your reconsideration request. 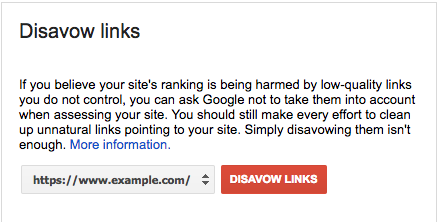 If all your attempts at removal fail, submit your links for disavowal via the Disavow Links Tool in Google Search Console. Copy and paste the links you want removed into a simple text file and include notes on how you went about having the link removed, and why you failed. Only disavow the links that could get you a manual penalty. According to Google, Penguin 4.0 merely devalues low quality links, instead of penalizes sites that have them. 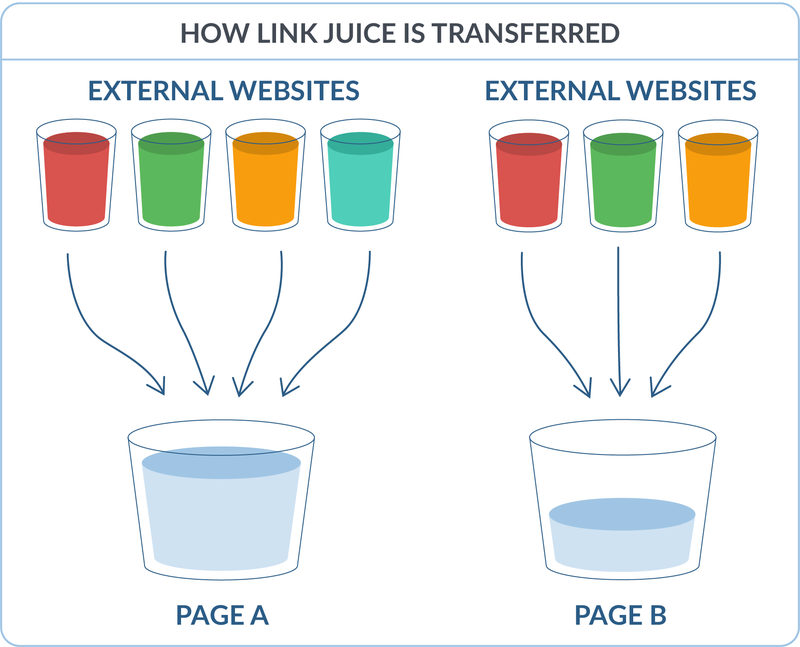 As long as it doesn’t violate Google’s webmaster guidelines, a low quality link is still going to pass at least a small amount of link juice. Once you’ve submitted your disavow links to Google and Bing, unfortunately your next step is simply to wait. Search engines won’t take your disavow requests into account until the next time they crawl the web, which could be a few weeks. Even a manual reconsideration request could take several weeks, and you likely won’t see your traffic start to recover for even longer. That’s why keeping on top of your link profile by conducting a link audit is so important. Link audits can be a long, labor-intensive task even when using tools like Kerboo and Majestic and based on the current state of Google’s Penguin update, it can take some time before you start to see positive effects on your rankings and traffic. However, keeping a close eye on your links will show search engines that you are committed to playing by the rules and providing visitors with a quality user experience. 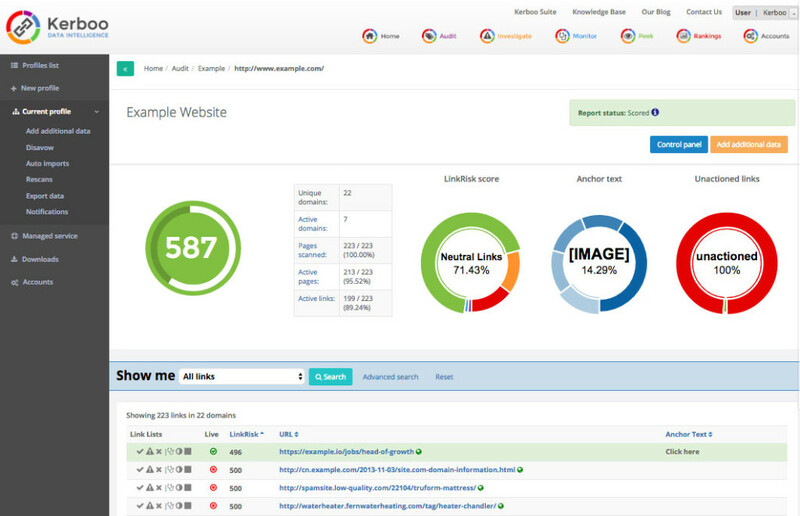 Keep on top of your backlink profile with a WooRank site audit. See if you backlinks are high quality, or if they are hurting your ability to rank. Just enter your website URL in the field to the right to get started now. Knowing who is already linking to your content will make building links in the future easier. Past links are a good indicator that a person is interested in your site’s topic, finds your content valuable and useful, and has an audience that’s relevant to your site. Knowing that a publisher is both relevant to your niche and attract an audience interested in your topic are very valuable when it comes to building links, as these two aspects of a website play a large role in determining the value passed by a link. When doing your link building outreach, spend a little extra time crafting your targeted messaging to these publishers. You’re building not only links but also a foundation of a relationship for future linking as well.